China’s Baoxiang Bai (right) defeated Chinese Taipei’s Chia-Cheng Hsu to win his second world amateur championship with a perfect 8-0 record. Korea’s Kibaek Kim was second, and Chinese Taipei’s Chia Cheng Hsu was third. Benjamin Lockhart of the US was 13th, Manuel Velasco of Canada was 28th and Emil Garcia of Mexico was 36th. 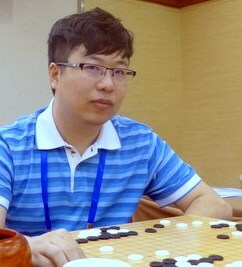 The tournament took place June 5-8 in Wuxi, a city of six million located slightly northwest of Shanghai. Full results here. Click here for more WAGC reports on Ranka.